The seat of the Ottoman Empire for 400 years, Topkapı Palace is today one of Istanbul’s most popular sights. The massive complex consists of four courtyards and hundreds of rooms, and the treasures on display are among the world’s most valuable. 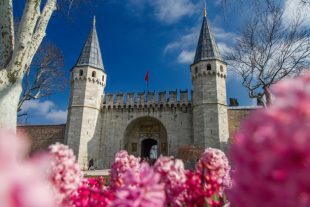 A visit to Topkapı Palace is almost compulsory during a trip to Istanbul… just expect to be exhausted afterward. 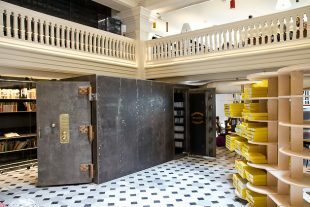 Established in 1856, the Ottoman Bank was a part of a comprehensive effort to modernize the flagging Ottoman Empire. Today, its former headquarters in Galata is home to SALT: a non-profit organization dedicated to art, architecture and urbanism. The Istanbul History of Science and Technology in Islam Museum needs a new name. Look, Disneyland wouldn’t be nearly as popular if it were called “The Anaheim Place of Enjoyment and Fun with Cartoon Characters Theme Park”. 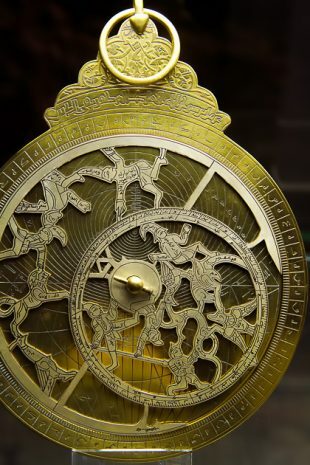 Yes, we know exactly what to expect from the Istanbul History of Science and Technology in Islam Museum, but by the time we’re done saying its name, we no longer feel like going! Built in 1857 as a lodge for Sultan Abdülmecid I, the elaborate facade of the Küçüksu Pavilion looks out over the Bosphorus Strait from the Asian side of Istanbul. 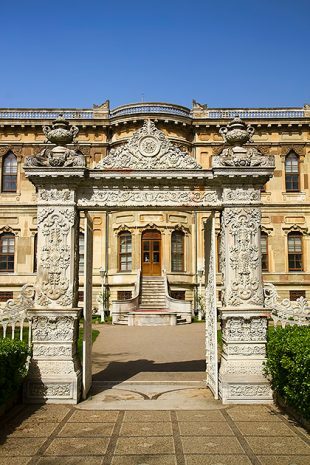 Though its days as a summer retreat for Ottoman rulers may be a thing of the past, the pavilion has been meticulously preserved and now serves as a museum. Whether fighting for the Ottoman Empire or the modern Republic, the Turkish war machine has a long and storied past, and it’s all breathlessly recounted in the Military Museum near Taksim Square. 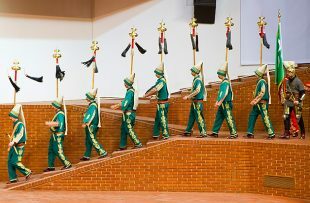 While visiting the museum, it’s almost compulsory to take in a performance of history’s most famous military musical squad: the Mehter Band. 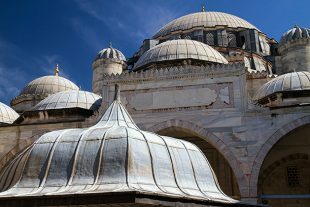 Within the immediate vicinity of the Aqueduct of Valens are two worthwhile mosques: the ancient Kalenderhane and the enormous ?ehzade Mosque, built on the order of Süleyman the Magnificent in 1548. Hungry for lunch? 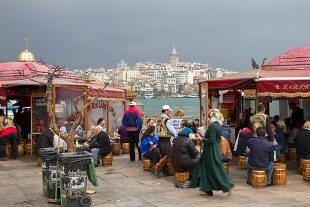 Then join the throngs heading for the semicircular Eminönü Plaza, on the western side of the Galata Bridge. “Why? What’s there to eat?” you might be asking. Well, try not worry about that quite yet! 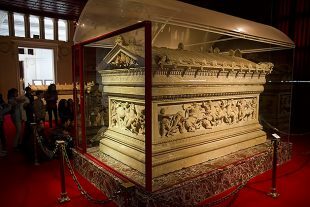 Set atop a hill in Gülhane Park, just meters from Topkapı Palace, the Archaeology Museum Complex boasts one of the world’s most stunning collections of ancient artifacts. 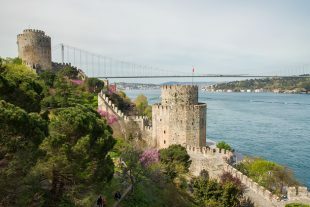 At the height of its power, the Ottoman Empire stretched across major sections of Europe, Asia and Africa, so it should come as no surprise that countless treasures have found their way to Istanbul. Much of our first day on the Asian side of Istanbul was spent visiting Üsküdar’s mosques. 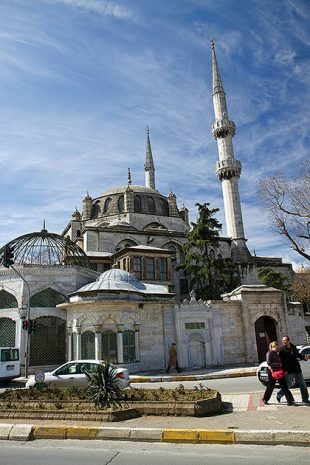 There are over 180 in just this section of the city, so we had a lot to choose from, but stuck to three of the most well-known: the Yeni Valide, Şemsi Paşa and Atik Valide.